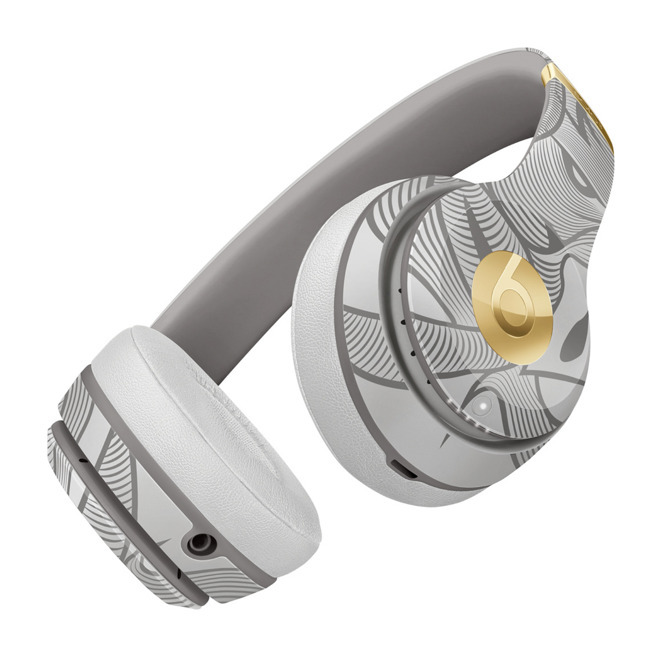 The "New Year Special Edition" pair of Beats Solo3 Wireless Headphones commemorates the new year with a flashy style and are available in "Silver Wing Grey." It appears that these headphones are available exclusively in China, as they don't appear in any other localization of the Apple Store. Apple tends to introduce special editions of its popular Beats Solo3 headphones from time to time. Recently, we saw new Mickey Mouse adorned models to celebrate the 90th anniversary of the Disney character. Last year also saw the release of a "Decade Edition" of the Solo3 model designed to commemorate the longevity of the Beats brand. Alongside the new Beats, Apple is also promoting its latest iPhones, watches, and iPad Pros in the yearly Chinese gift guide. In related news, Apple kicked off its Back to School promotion in Australia, Brazil, New Zealand and South Korea, offering a set of Beats for free to students with qualifying purchases.